We made a few mistakes in planning our trip to the Biltmore. Once you learn from our errors, you will be able to plan a great trip to this awesome destination. Located in Asheville, NC, the Biltmore Estate is the largest privately-owned home in the United States. It was built by George Vanderbilt in 1889. And let me just tell ya…this deal lives up to the hype. It is just the most massive house I have ever seen. The home is over 178,000 square feet and has 250 rooms. Do you need a few minutes to process that? 178,000 square feet?!?!?!?!? The entire estate encompasses over 8,000 acres. Trust me when I tell you that this estate is BIG! We arrived mid afternoon for our tour. When I say ‘we’. I mean the entire Nashville Fun For Families group – 4 adults and 7 children from ages 3 to 15. We had done some research ahead of time and had purchased tickets online. This step will eliminate a wait in line upon arrival. As we were travelling with a toddler, we were all about eliminating wait times. Children under age 9 are admitted free with a paying adult so keep that in mind when planning your trip. As you enter the estate, there is plenty of clear signage to direct you to parking. Depending on which lot you park in, there will be quite a walk to the actual home. There are shuttle buses that will take you directly to the front door. If you are able to make the walk, I would suggest you do so. Here’s why. When you walk to the home, you follow a path that will lead you to a high spot where you will get your first view of Biltmore. It’s simply breathtaking. There’s really no way to put it into words. Pictures cannot do it justice. For me, it was totally worth the walk. But the walk is probably a mile so just be aware. Once you reach that picturesque spot, you will have to walk down about 10,000 steps (I’m estimating…it’s probably a lot less) 😉 From there it is a small walk to the home. Once there, you will go the admission gate to purchase your tickets or, if you got yours in advance, proceed into the building. The main tour is self guided. There are several tours available depending on the time of year that you visit. I have been told that the Butler’s Tour is one of the best. I have that planned for my next trip. The tour we took included an audio component. There is so much history in this house that every room has multiple audio commentaries.There is also an audio tour for children. Both audio tours are 90 minutes long. No photography is allowed inside the Biltmore. And, honestly, I’m actually ok with this because I probably would have spent the whole tour snapping photos. Instead I really got to enjoy just looking and learning. The tour includes lots of steps so consider a light stroller if you have a little one. Only the first two floors of the home are wheelchair accessible. We visited in June and it was HOT. There are lots of fans throughout the home which helped but I will definitely be planning my next visit during a cooler month. There are lots of terraces in the home which give plenty of opportunities to cool off and take photos of the amazing views. 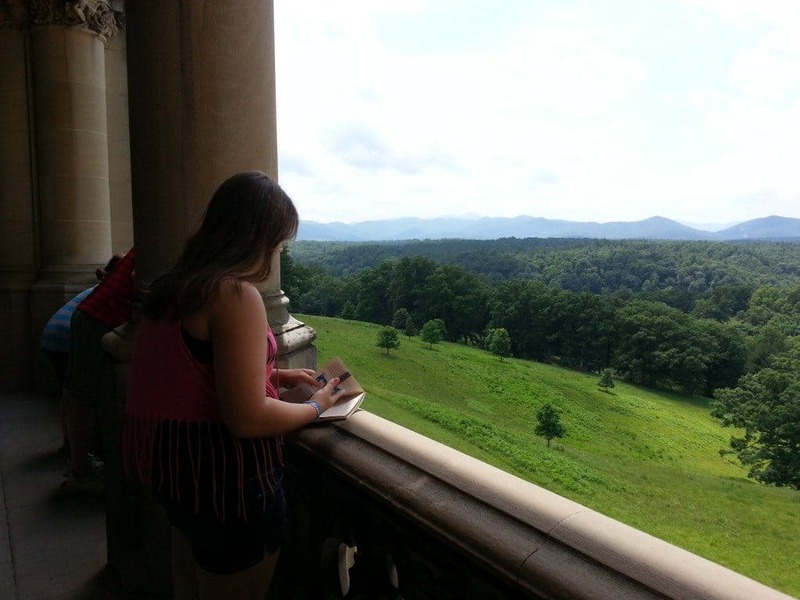 Once you are done with the tour of the actual home, there is still a lot to see at Biltmore. Directly outside the home is a massive garden area. There are fountains, statues, arbors, ponds and every kind of flower and tree. There are 2.5 miles of paths to explore in the gardens. If I had it to do over again, I would have arrived in the morning to tour the home. Then I would have had a long lunch in the cafe attached to the home. After that I would have toured the gardens. We missed a lot because there was just too much to see in the limited time we allowed ourselves. Biltmore has a suggested plan for different tours of varying duration. In addition to the cafe, there are several unique gift shops next to the home.There are also additional conservatory garden areas that are accessible by car or shuttle. 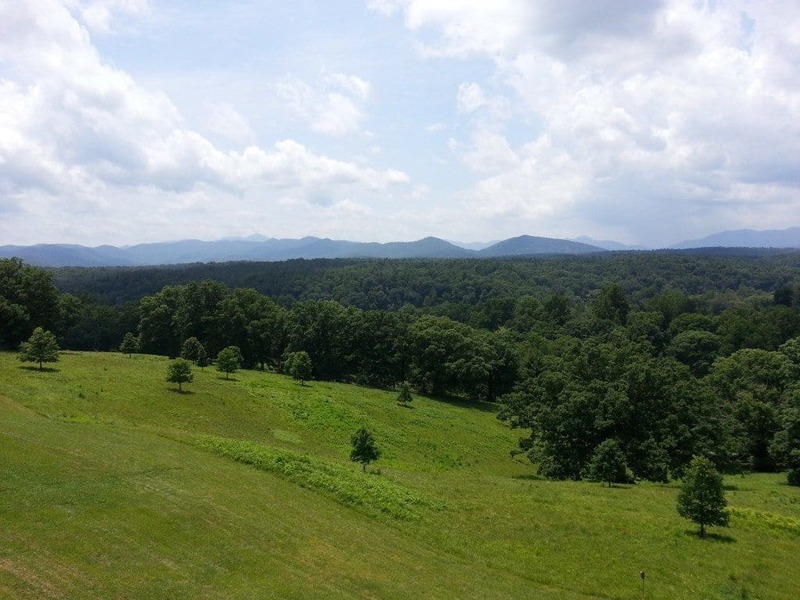 Admission to Biltmore also includes access to Antler Village and a tour of the winery. We never made it to these areas. We just ran out of time. I think two days would be the right amount of time to enjoy all that Biltmore has to offer. Overall, I don’t think you will be disappointed with your visit to Biltmore. Older kids (over age 10?) will get more out of the visit and be less likely to annoy their parents. But as we say all the time, every kid is different. There is so much information available at the main Biltmore website. Spend some time planning and then really enjoy this historic destination. Cost : Ticket prices and online purchasing at this link.